Zimbabwes crisis since 2000 has produced a dramatic global scattering of people. This volume investigates this enforced dispersal, and the processes shaping the emergence of a new "diaspora" of Zimbabweans abroad, focusing on the most important concentrations in South Africa and in Britain. 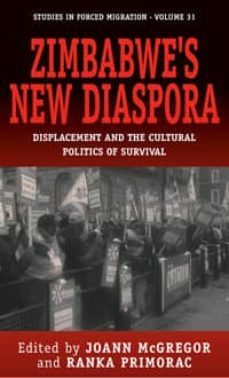 Not only is this the first book on the diasporic connections created through Zimbabwes multifaceted crisis, but it also offers an innovative combination of research on the political, economic, cultural and legal dimensions of movement across borders and survival thereafter with a discussion of shifting identities and cultural change. It highlights the ways in which new movements are connected to older flows, and how displacements across physical borders are intimately linked to the reworking of conceptual borders in both sending and receiving states. The book is essential reading for researchers/students in migration, diaspora and postcolonial literary studies.